Jessica is a Clinical Psychologist who provides psychology services to adolescents (ages 13+) and adults who are experiencing emotional issues. Drawing on a range of therapy frameworks, Jessica supports clients to explore the challenges they face and develop ways to overcome their difficulties. Jessica has a particular interest in treating both single event and repeated trauma, including those with a history of childhood sexual, physical or emotional abuse. Jessica sees clients suffering from a range of difficulties including depression, anxiety, trauma, anger management problems, relationship problems, substance misuse, gambling, burnout, self-harm, binge eating, and self esteem problems. In addition to her clinical work, Jessica lectures university students, and provides clinical supervision to those completing their psychology training. Jessica offers internet video counselling to those in rural areas. Jessica takes a client-centered approach and draws on a number of therapeutic frameworks depending on the needs of her clients. She has had training in Cognitive-Behavioural, Psychodynamic, Schema, and Emotion-Focused Therapy, and uses mindfulness meditation techniques in her practice. Jessica regularly attends workshops, seminars and lectures as well as clinical supervision to further develop and update her skills and knowledge. 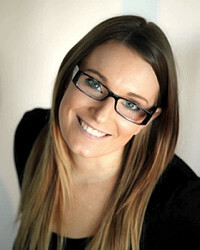 Jessica also regularly reviews the progress of therapy with her clients to ensure it is meeting their needs and goals. Jessica has completed a Doctorate in Clinical Psychology at Queensland University of Technology (QUT) and is a member of the Australian Psychological Society (APS) and APS College of Clinical Psychologists. Jessica has previously practiced as a psychologist within a number of different inpatient, outpatient and private practice settings. In addition to her practice she lectures and supervises counselling and psychology students completing university training. Appointments are available Monday to Friday. After hours appointments are also available. Please contact Jessica to schedule an appointment time. The standard fee is $190 per session. Reduced fees can be negotiated for those undergoing financial hardship. Fee structures differ for internet counselling and those referred from third parties (e.g., insurers). Medicare rebates are also available. Payment is required at time of appointment via EFTPOS, direct debit, or credit card.